Come along to our new card making group its fun for all ages and completely free. The card making club is half card making , half freestyle crafts. We have many different craft materials available for the Card making club to use to make any creative crafts the want. 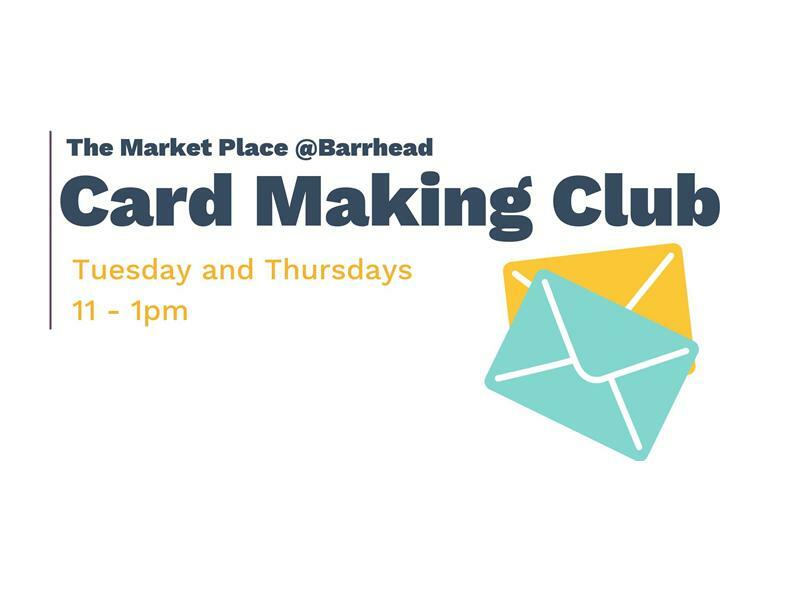 While we take every opportunity to ensure the details for The Market Place Barrhead: Card Making Club are accurate, we always advise that you contact the event organiser before setting out for the event to avoid disapointment.